The master of historical fiction presents the iconic story of King Alfred and the making of a nation. Alfred, the great king, is said to be dying. Rivals for his succession are poised to tear the kingdom apart. The country Alfred has worked thirty years to build is about to disintegrate. Uhtred, the King’s warrior, Viking born but Saxon bred, wants more than anything else to go and fight to reclaim his stolen Northumbrian inheritance. But he knows that if he deserts the King’s cause, Alfred’s dream – and indeed the very future of the English nation – will very likely vanish. Death of Kings is an outstanding novel by a master storyteller of how England was made – and very nearly lost. 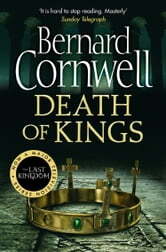 as usual Bernard Cornwellhas written a mastrful novel. Just excllent, truly an excellent look into ancient Britain. Could not put it down. I just love the history of the story which is based on fact. I love the ancient tales of "US". I love the way these books are written, In the first person by Uhtrad of Bebbenberg. I love the romance of the struggles to live a peaceful life amongst such brutality. The complete series tells the history of early England in graphic detail as a novel. It would be wise to place it as required reading for all history students. 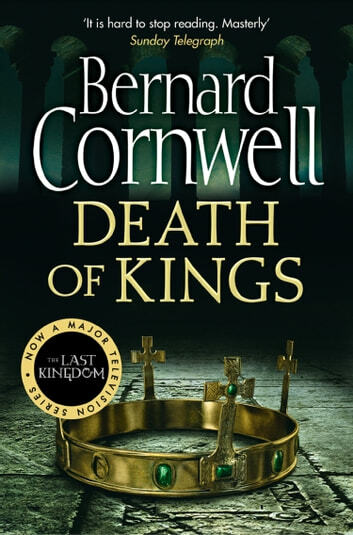 Bernard Cornwell uses modern day language and historical fact to bring to life the drieness of present academic history.